Roger Federer was still basking in the glow of winning another Wimbledon trophy so it was only natural that the Swiss, lauded as one of the greatest sportsmen, would expect his twin daughters to be excited by daddy's triumph. Just 12 hours after Myla Rose and Charlene Riva were seen clapping and waving wildly to their daddy from the player's box on Sunday as he picked up the gilded Challenge Cup for a record-equalling seventh time, one of them gave the man known as 'King Roger' the royal brush off. "This morning they were playing games and I was like 'do you remember yesterday?' and one of them was like 'no, I don't'" a bemused Federer told a small group of reporters after casually strolling into the All England Club on Monday with a magnolia carrier bag in hand and dressed in dark denim jeans and a black leather jacket. "I was like 'ok, ok'," he added with a resigned shrug. "Then the other one was like 'yeah, yeah, yeah, yeah, I remember clapping'. "Honestly I'm not sure what they do remember but it was a great moment for my wife, for our kids and for myself to have had that experience," Federer added. "I don't know what other three-year-olds understand but mine don't quite understand the difference between winning and losing yet. "When I won in 2003, never in my wildest dreams did I ever think I was going to win Wimbledon and have my kids seeing me lift the trophy. So this is pretty surreal and I was almost shocked in the moment that it all came together so nicely." It was no wonder Federer, who beat Andy Murray in Sunday's final, was surprised because since 1980, only nine men have captured a major after embracing the joys of fatherhood. While four - Pat Cash, Andres Gomez, Petr Korda and Albert Costa - were one-slam wonders, multiple champions Boris Becker, Yevgeny Kafelnikov and Andre Agassi managed to add just one further Slam to their haul after becoming parents. Federer joins Jimmy Connors as the only players in recent memory to have won multiple Slams by successfully combining family life with the rigors of criss-crossing the globe 11 months of the year. 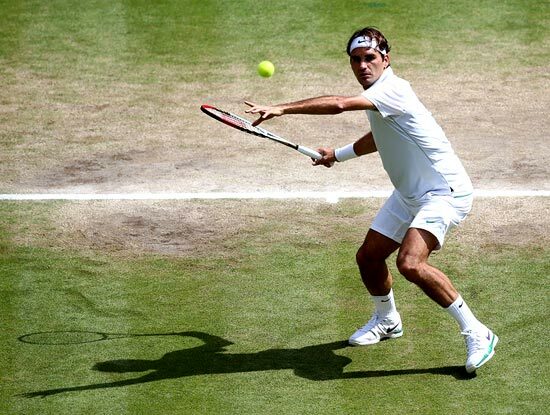 While Connors won three of his eight majors after the birth of his son Brett, Federer has captured two of his record 17 slams since his twins were born in July 2009. For the likes of John McEnroe, Ivan Lendl and Stefan Edberg, the titles dried up as soon as they gingerly cradled the new additions to their families. Tennis fathers have won only 12 of the last 129 Grand Slam titles but Federer feels having a young family has breathed new life into his game as he approaches his 31st birthday. Just when his long-suffering rivals hoped that Federer's 29-month barren spell at the majors was a sign that his ageing limbs were finally slowing him down a fraction, they were handed a reality check. His spell-binding performance not only left a distraught Murray to quip "he's not bad for a 30-year-old!" but also proved that everyone should get used to the sight of a triumphant Federer blowing kisses to his giggling, pig-tailed daughters. Whereas once Federer thought he would probably hang up his rackets after competing at this month's London Olympics, he now feels he could possibly even go on till the 2016 Rio Games. 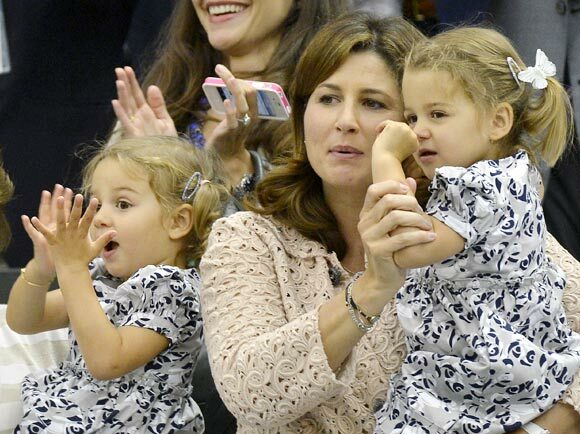 "People forget sometimes I do have twin girls," said the Swiss, who climbed back to the top of the rankings on Monday. "That has had a massive impact on my life. I think it's helped my game more than anything because I think I'm playing some of the best tennis of my life right now." Can you find a job for this 13/7 widow?